It seems that a new data breach comes every day now – or do we merely pay more attention to these news? And it’s worth reading about all the inside jobs and hacker attacks just to ask yourself one more time: is the security policy of my organization really bulletproof, or am I doing the least of what’s required? Am I going to be the next newsmaker and the one to blame? Every industry is prone to breaches, but the most vulnerable are the ones whose databases contain private information of millions of individuals: organizations in the healthcare, banking, educational and governmental fields are most commonly subjected to an attack. Being able to keep sensitive personal data from exposure is a matter of trust. And with so many tools and solutions – free as well as paid, – promoted by IT security experts, it’s just on the verge of sabotage to avert your eyes, keep fingers crossed and hope for the best. If security of your clients’ data is of value to you, it makes sense to know about how the others have failed and listen to IT Pros advising what the remedy can be. Even if there’s no cure-all, there are measures you can – and should – take. 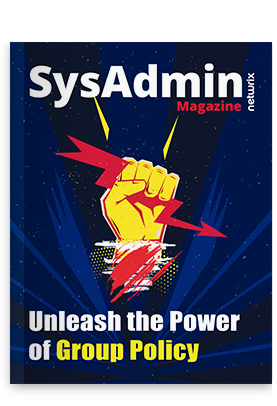 Read the new issue of “SysAdmin Magazine” which is focused on the latest data breaches and give some thought to expert advice on precaution processes like auditing and monitoring.